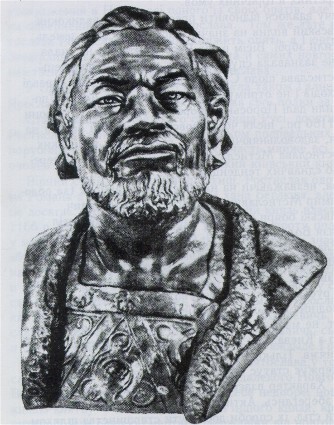 Andrei Bogoliubskii [Андрей Боголюбский; Andrej Bogoljubskij], b ca 1111, d 29 April 1174. Prince of Vladimir-Suzdal, son of Yurii Dolgorukii, and grandson of Volodymyr Monomakh. Andrei's father appointed him prince of Vyshhorod near Kyiv, and Andrei participated in his father's struggle to take Kyiv. In 1155 he left Vyshhorod and became ruler of Vladimir in the north. After his father's death in 1157, he became the prince of Rostov and Suzdal. Thus, he united the northeastern part of Rus’ under his rule. From 1159 he tried to strengthen his influence in Novgorod the Great. In 1169 he sacked Kyiv. Andrei was murdered by the boyars, who resisted his autocratic policies.